Dr. Jamal Badawi is an Egyptian born Muslim Canadian. He is a former professor who taught at a number of schools including the Sobey School of Business, Saint Mary’s University in Halifax, Nova Scotia, where he taught in the Departments of Religious Studies and Management. He is a well-known author, activist, preacher and speaker on Islam. Dr. Badawi completed his undergraduate studies in Cairo, Egypt and his Masters and Ph.D. degrees at Indiana University in Bloomington, Indiana. Dr. Jamal Badawi is the author of many books and articles on Islam. In addition, he researched, designed and presented a 352 segment television series on Islam, which was shown in many local TV stations in Canada, the US and as well as other countries all over the world. Audio and video copies of this series are widely available throughout the world. Dr. Jamal Badawi also actively participates in lectures, seminars and interfaith dialogues in North America. He was invited as a guest speaker in various functions throughout the world. Additionally, he is active in several Islamic organizations, including Islamic Society of North America (ISNA). 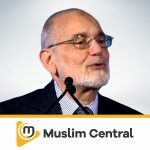 He is the founder/chairman of the Islamic Information Foundation, which is a non-profit foundation seeking to promote a better understanding of Islam and the Muslims. Discover more series by Jamal Badawi.